Bank of Italy Governor Ignazio Visco is feeling the weight of a populist onslaught against the country’s entire financial sector, with his institution in the middle of it. The central bank chief has endured repeated meddling from the ruling coalition of the Five Star Movement and the League, who weighed in on board nominations and cast doubt on ownership of its $100 billion stash of gold. An extended assault is now imminent as parliament prepares for a new round of scrutiny against the institution and the financial system. Italian populists are hardly alone in bashing their central bank, as U.S. President Donald Trump’s criticism of the Federal Reserve show. But the barrage against Visco’s institution threatens to set it apart just as European Central Bank President Mario Draghi, who once himself led the institution, is warning of the dangers of such attacks. 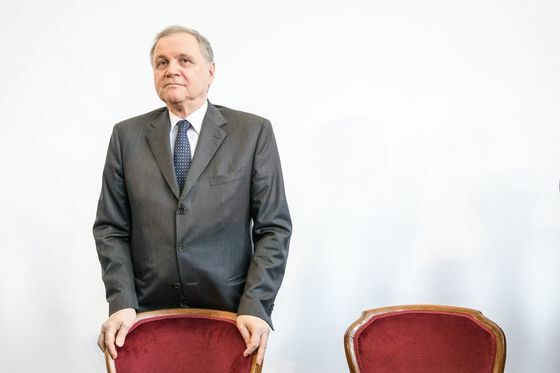 The public torment is a far cry from what the 69-year-old Visco, ensconced in his office in the grand Palazzo Koch, first encountered when he started work there more than four decades ago. Back then, the institution’s prestige, authority and independence were revered. Such was its reputation in a country plagued by scandal that two of its governors became presidents of the republic and another went on to lead the ECB. Now, the new parliamentary commission threatens to cripple its stature. Even before starting work, the inquisition has sparked concerns that the country’s financial community will be hounded for the next four years -- or as long as the current legislature lasts -- just when its banks, saddled with soured loans, are still vulnerable. The populist siege is taking a toll. Visco, who likes to tell staff to remember that they work for Italy, is determined to defend the central bank’s independence, according to a senior central bank official who declined to be named discussing a confidential issue. The official said senior staff feel frustrated that they cannot speak out against what they see as a litany of insults. Visco and his predecessors have faced political criticism before, including Draghi and Antonio Fazio, who resigned amid a criminal probe into his oversight of bank takeovers. But the populist coalition is breaking new ground. The two deputy premiers, Luigi Di Maio of Five Star and Matteo Salvini of the League, set the tone in February, sharing the stage at a meeting of former stakeholders in Banca Popolare di Vicenza and Veneto Banca, which were liquidated in 2017. The event started with five minutes of silence to remember victims of bank fraud who committed suicide. The 40-member panel will hear from a vast range of players -- from the Bank of Italy and Consob to lenders, bank foundations, rating agencies, and insurance and pension funds. It will assess whether a special prosecutors’ office should be set up for banking and financial crimes, modeled on existing anti-mafia and anti-terrorism bodies. “If the Bank of Italy has its share of responsibility, it’s not a mortal sin or lese-majeste to figure out what happened,” Senator Gianluigi Paragone, Five Star’s candidate to head the commission, said in an interview. The commission will start work soon after May’s European Parliament elections, he said. President Sergio Mattarella warned on March 29 against lawmakers interfering with the work of market watchdogs and regulators because that would harm their independence. The previous day, under pressure from the coalition, the Bank of Italy replaced its second-highest official and named two new members to its top body. Its new director general is Fabio Panetta, a long-time official and a vocal critic of European institutions’ treatment of Italian banks. The cabinet may next week review the candidacy of Alessandra Perrazzelli for the post of deputy director general at the Bank of Italy, Il Sole 24 Ore reported Wednesday, citing unidentified officials. Five Star and the League are also questioning the legal nature of the central bank’s gold reserves, the world’s fourth-largest. For Luiss University’s Toniolo, the populist onslaught should be seen as motivated by political considerations, with the European vote due soon. While there’s some grounds for criticism of the Bank of Italy and others, there’s little to justify the fury it faces.